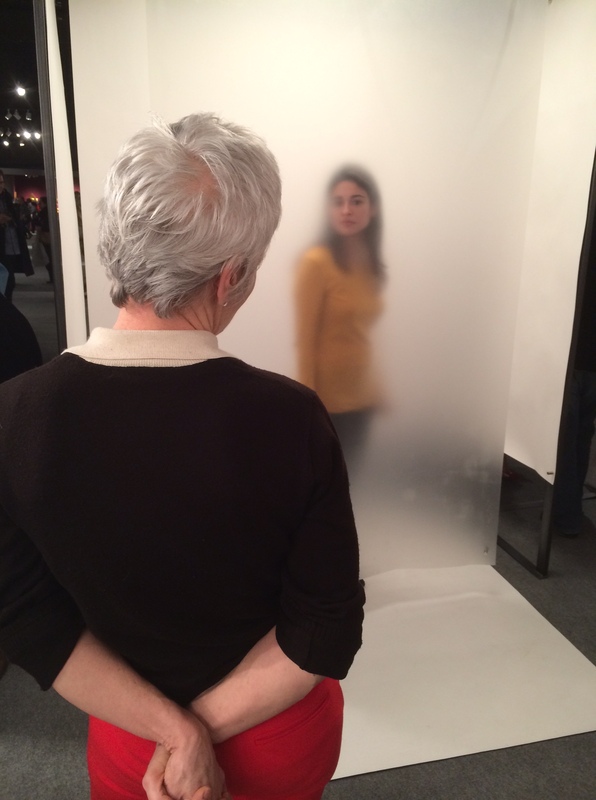 Last week, I wrote about the Armory Show and its ability to overwhelm me annually. Today’s post is about another fair that took place that same weekend in early March: The Art Show. With a smaller-scale format (a tighter space, fewer galleries, and generally smaller artworks) than the Armory Show, The Art Show is sometimes overshadowed. I, however, found this fair to be worth my visit in every way. Congrats to Sanford Smith and Associates (and fair director Emily Christensen!) for a job well done. 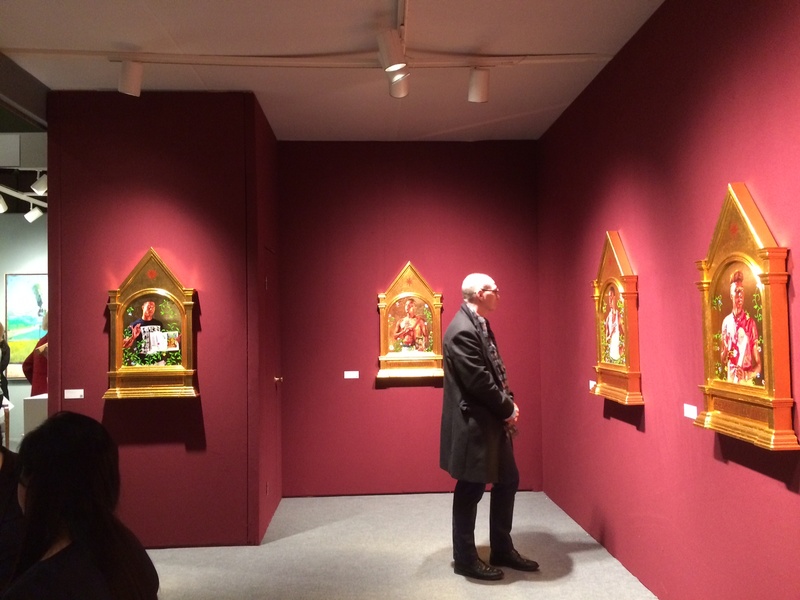 Where the Armory Show exhausted, The Art Show invigorated. Sean Kelly Gallery’s display of Kehinde Wiley’s work immediately caught my eye. The opulent gold leaf and bright red booth walls drew me in. The stunning execution of works themselves, which present contemporary figures in formats borrowed from Russian icons, kept me there. 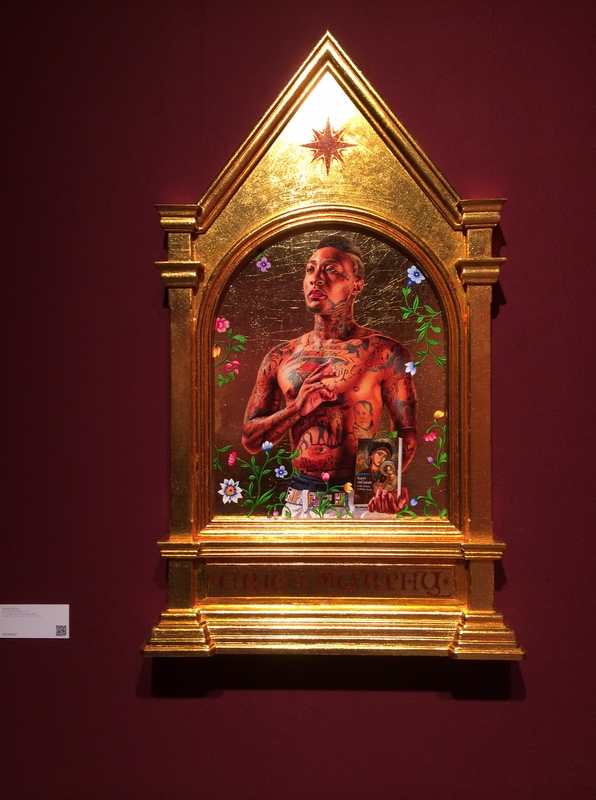 Kehinde Wiley, St. Gregory Palamas, 2014, 22k gold leaf and oil on wood panel, 40 x 24 x 2 in. 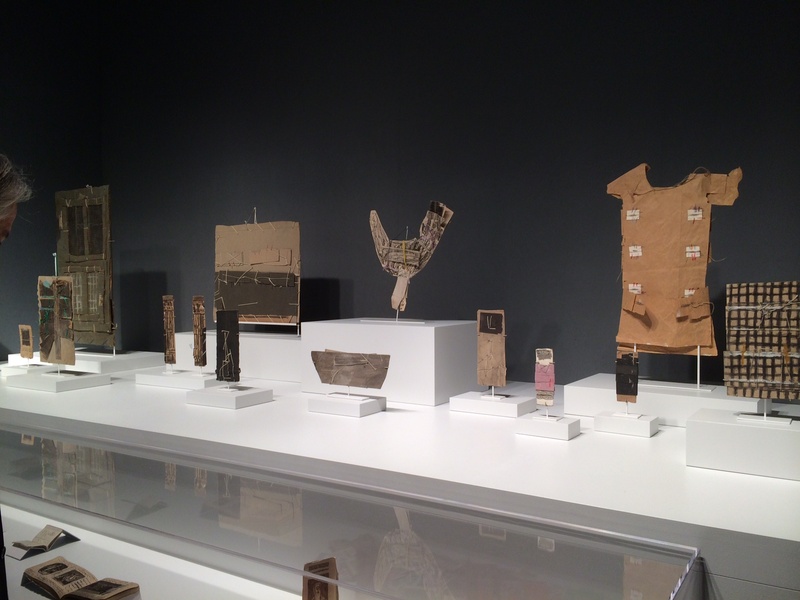 Having worked on multiple exhibitions featuring art by James Castle, a well known American self-taught artist, I had a soft spot for the selection of his constructions, books, and soot-and-spit drawings on view at Peter Freeman, Inc.. I was particularly impressed by the gallery’s display, as they borrowed installation ideas from Castle shows at the Philadelphia Museum of Art and Museo Reina Sofia. Whilst the Wiley and Castle displays held such impact because of their “solo show” approach, there were some wonderful individual pieces visible within group displays also. 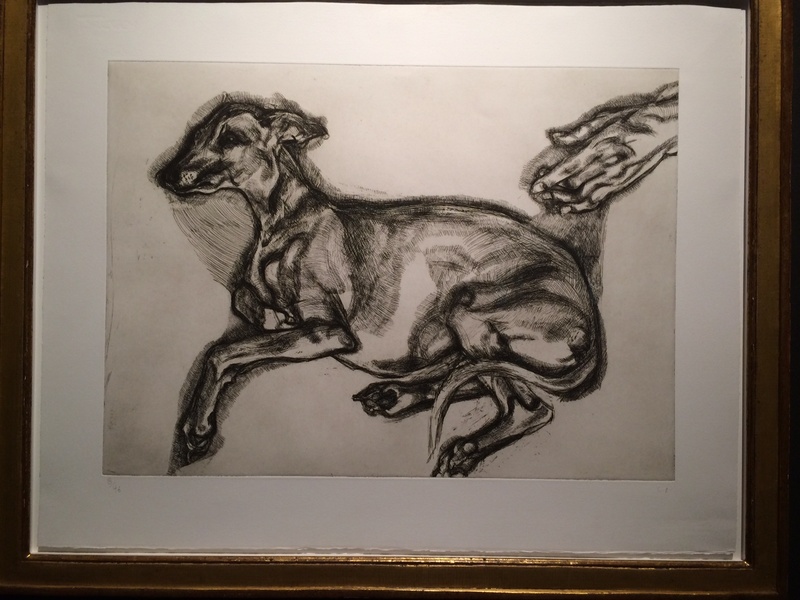 One of my personal favorites was this etching from 2000 by Lucian Freud, on view at Matthew Marks Gallery. And finally, I was most impacted by Ann Hamilton’s photographic work-in-progress at Carl Solway Gallery. 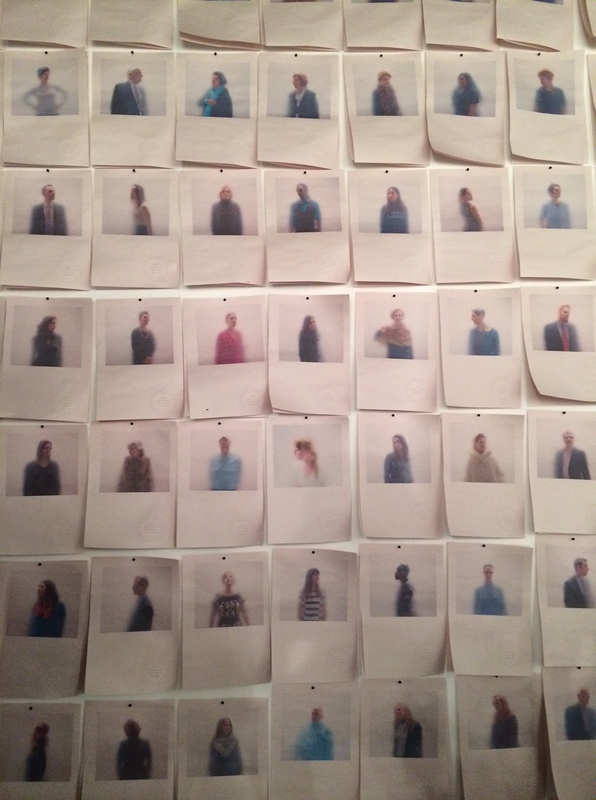 Hamilton was in residence throughout the fair, photographing attendees as part of her ongoing ONEEVERYONE series. Pictures were printed on newsprint and displayed in the booth (seen above). As part of this project, each sitter will be mailed one of these photographs of someone else who participated in the experience. Here’s a photo of me having my photo taken for this project. As you can see, Hamilton shot participants behind a hazy membrane so as to distort features not pressed directly against the surface. The dreamlike effect creates a unity amongst the sitters, removing many specifics of each person and creating connections between all. I will write another blog post about this project–in more detail–when I receive an image of another participant in the mail! This entry was posted in Art Fairs, Contemporary Art, Modern Art, Outsider Art. Bookmark the permalink.